Spring into spring with fresh herbs and veggies! Spring Rolls are the perfect dish to whip up if you are trying to start the sunny season off right. Be bold in the color of your veggies! Fresh spring rolls include colorful veggies like cucumbers, red bell peppers, lettuce, carrots, purple cabbage and bean sprouts. Each different color from veggies is high in specific nutrients and phytochemicals. For example, yellow and orange veggies, such as carrots, are high in Alpha-carotene, beta-carotene and flavonols. These strong willed phytochemicals help to decrease inflammation, fight against cancer and increase heart and eye health. From our purple cabage, we will get resveratrol, anthocyanidins and ellagic acid, which aid in promoting kidney health, cognitive health and also helps to fight against cancer. Our green veggies, such as our bean sprouts, lettuce and cucumbers, will have lutein, indoles, isothiocyanates and zeaxanthin, which aid in promoting heart health and helps to fight against inflammation. Lastly, the rich red bell pepper will be treasured with lycopene, resveratrol and proanthocyanidins which also help to decrease inflammation, fight against cancer risk and increase kidney, brain and heart health (1). 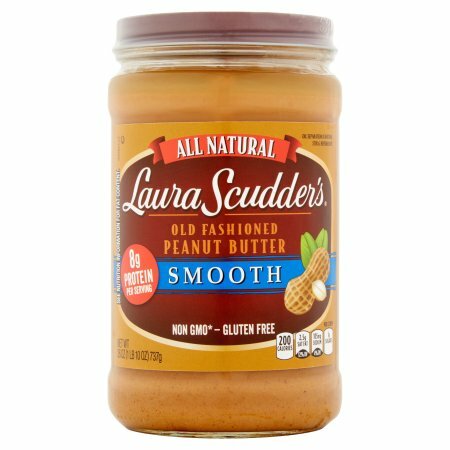 The Sprouts health food grocery store also carries their own brand of natural peanut butter that is well made. 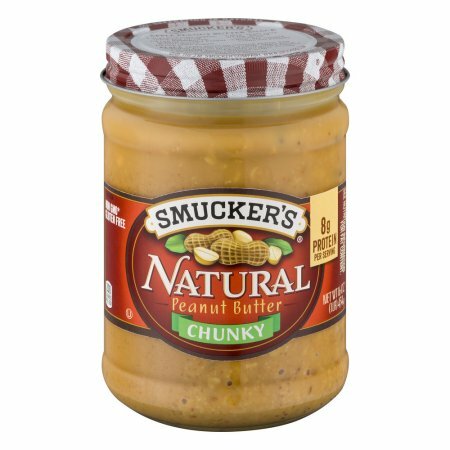 You should be able to see a natural separation between the peanuts and the oil. Many companies add pam oil and hydrogenated oils in order to prevent the oil separation, and make the product more “creamy”. The Food and Drug Administration in 2015 deemed partially hydrogenated oils as not “generally recognized as safe” (GRAS). This means that food distributors have three years to rid their products of partially hydrogenated oils. However, partially hydrogenated oils may still be found widespread in a variety of different common house goods, such as margarine, baked goods and snack foods. Why is this? Major food companies have the ability, and money, to petition to the government in order to convince them as to why their product needs partially hydrogenated oils. What are partially hydrogenated oils? They are an artificial trans fat and have been linked to attributing to heart disease, cardiovascular disease and high cholesterol (2). There are roomers that they may even be linked to cancer! Long story short, when making your spring rolls, make sure your spicy peanut dip is just as healthy as your vegetable spring rolls. The following is a fun Vegetable Spring Roll recipe to try to make at home! Check out this Vegetable Spring Roll recipe inspired by http://www.themostlyvegan.com/veggie–spring–rolls–with–spicy–peanut–dipping–sauce/. Boil a large pot of water. Add rice noodles and cook for 2 minutes. Turn off the heat, drain and rinse the noodles under cold water. Thinly slice each of the veggies into long slices. Cut up the romaine leaves the right size to fit onto the rice paper. Take one single rice paper at once and completely submerge into a bowl of water for 5 seconds. Take the rice paper out of the water and place it on the surface you are working on. Cover the rice paper with the romaine lettuce. Layer the rice noodles and veggies on top of the lettuce. Fold the top and bottom of the rice paper and then fold over one side. Using a rolling motion, continue to seal rice paper on opposite sides. May store the spring rolls in the refrigerator for up to 5 days. Combine all of the ingredients into a small bowl and thoroughly mix. Sprinkle the green onions on top. The sauce keeps in the refrigerator for up to one week.